Working one-on-one with an experienced fitness professional is the most effective way to reach your fitness goals quickly and safely. Proper form and technique are constantly monitored during your workout which help avoid injury and maximize results. Choose personal training as a way to get started with an exercise routine, to help you consistently achieve your fitness goals, or to rehabilitate after an injury by working one-on-one with a fitness professional trained in the field of physical therapy like Q Fitness owner, Michael Quarto. We also offer Senior Fitness Training, Maternity Training, and In Home Training. At Q Fitness we have been providing Motivation, Accountability, and Experienced/Applied Knowledge since 1994. After your initial baseline fitness evaluation, we will work with your schedule and budget to put together a program that will get you to your goals as fast and as safely as possible. At Q Fitness there are no restrictions and no excuses: This means the same for you. Train with an experienced Heath Care Professional in an environment that is non-intimidating and very well equipped. We will extract your maximum potential. Why train anywhere else?  The best personal training is right here at Q Fitness. In addition to 60-minute training sessions, we also offer 30-minute training sessions. This helps those that are just beginning and are severely deconditioned, those that are "time-crunched" trying to squeeze in great workouts, or those that just want to get a jumpstart on their fitness and want to combine the benefits of having a trainer along with doing some “extra” work on their own. Personal Training here at Q Fitness is your BEST option for maximum results. Q Fitness offers small group training for individuals who want to take their workout to the next level at a fraction of the cost of personal training. You still benefit from world-class training and targeted programming to meet your personal needs, plus ongoing accountability and support from your trainer and fellow group members. Our Total Body Fitness Group Training Classes (3-5 people) will help you lose weight, burn fat & calories, build strength and muscle, boost your metabolism, improve endurance, and increase flexibility, all while having fun! Classes are one hour long and are offered in the morning and evening throughout the week. Total Body Fitness Group Training Classes are open to everyone for a $20 drop-in fee, no gym membership is required! Q fitness offers Individual and Team Sports Training. Team programs are customized to meet specific needs and budgets. Improve Speed, Agility, Strength and Conditioning: Maximize your full athletic potential with Sports Training! Train with Q Fitness owner Mike Quarto, PTA. He is a healthcare professional, a current National powerlifting record holder, and has over 21 years of sports training experience. He has trained many professional athletes from a variety of sports to help them prevent injury, get faster, stronger, and maintain mental toughness.